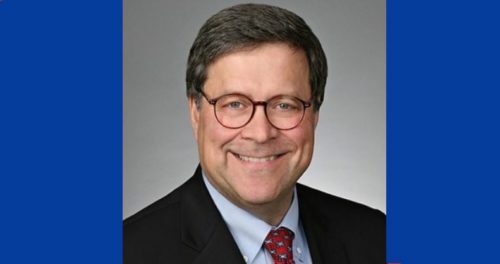 Attorney General William Barr responded to a group’s warning that LGBTQ people are quitting their jobs at the Department of Justice because they don’t feel supported. DOJ Pride, an organization for LGBTQ employees of the Department of Justice, sent a letter to the new attorney general earlier this month about the hostile work environment. The letter asked him to issue an Equal Employment Opportunity statement that includes sexual orientation and gender identity, and it also explained just how bad the culture at the DOJ was for LGBTQ workers. In the original letter, DOJ Pride quoted an internal survey of its members that found that only 10% agree that the DOJ “attracts and retains the best LGBTQ talent,” and fewer than half agreed that the DOJ “does not discriminate” against LGBTQ people. The letter cited comments from unnamed workers about why they were leaving their jobs. Some talked about the “bro-y” culture at the DOJ, others referred to the DOJ’s work in supporting anti-LGBTQ discrimination in courts. Barr responded with a letter this past Thursday that included the new Equal Employment Opportunity statement he signed earlier in the day. The statement includes gender identity and sexual orientation, and addresses discrimination, retaliation, and harassment. The previous Attorney General, Jeff Sessions, did not issue an Equal Employment Opportunity statement.